Following 5 years of 997 ownership i decided that i needed to scratch the itch of something new and after looking for quite a while I found a 991 Carrera 2 which i liked enough to buy. I wanted a manual and I wanted a sunroof (contentious on here I know) - ideally a glass roof but this car came up with a metal sunroof - but everything else was right so I went for it. 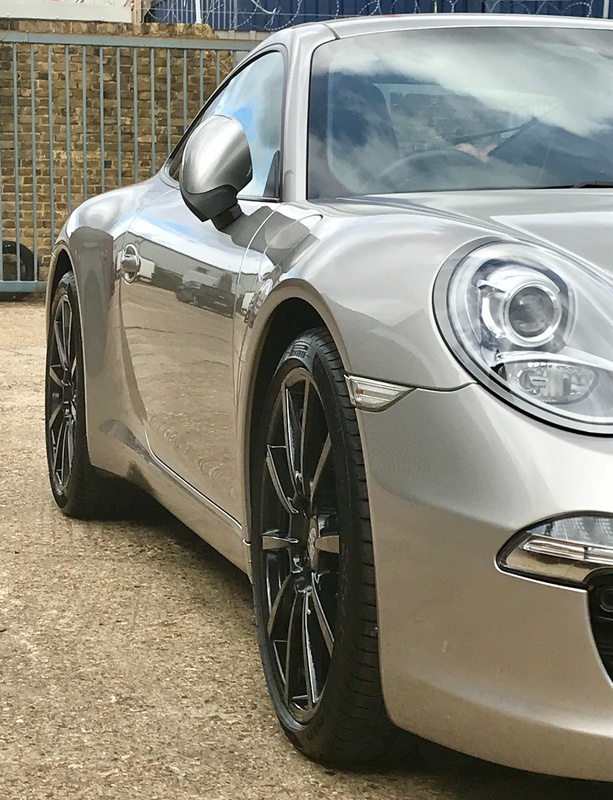 Car was at the lower end of 991 pricing (sub £50k) has a full OPC history, and a few nice options - full electric memory heated seats, sport chrono with sport plus, sports exhaust, power mirrors, Carrera classic 20" wheels, Bose. 40,000 miles which i was happy with. I am the 5th owner but the last owner had for 2.5 years which I also thought was ok. 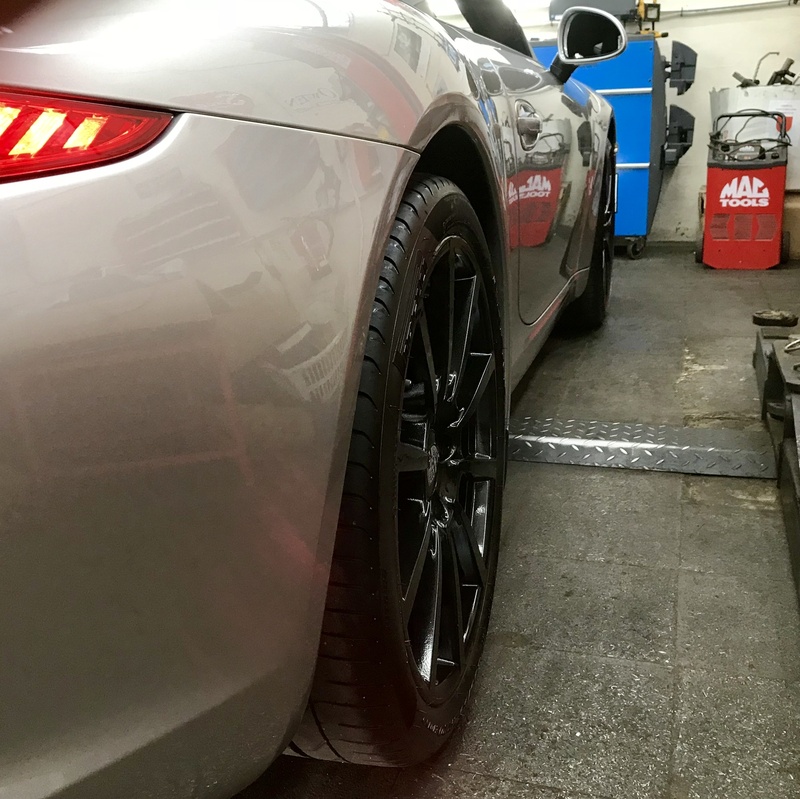 The car was actually in at OPC Bolton having a few bits done when i first contacted the dealer so I was able to speak to the service manager who talked me through the car - and was very positive about it. He also emailed the rev range report which was very handy - nothing outside of range 1 which was great news. As others on here have noted, it is interesting to see these cars starting to clash with gen 2 997's in pricing terms. I test drove a gen 2 targa "S" in the summer for the same money as this and i decided against it - i just thought it was expensive for what it was and it didn't feel like enough of a step on from my gen 1 997. The big upside with this car for me was the fact that it just feels so much more refined - smoother and more comfortable on the UKs terrible roads (I must be feeling my slowly advancing years). The interior feels quite a bit more modern and luxurious to me also - albeit i also think the 997 interior is very good. My thoughts on the general comments about the 991 being more GT to the 997 sports car feel - probably fair and suits me very nicely!! Having done quite a bit to my 997 in the last 5 years i am trying to keep this a little simpler on the mods front. I think some red seat belts would be nice and some spacers on the rear wouldn't go a miss. Plus a front PU respray at some stage to bring it right up to scratch! More to follow no doubt! Not planning on a load of mods either, although to get the look I was after, I went with 5mm spacers all round (same Carrera classic wheels as yours, but all black) which worked really well to my eyes, sports tailpipes (no PSE 🙁 ), changed the rear badges to black, and put black “Carerra T” side decals on it. Pics below shows how the wheels are versus the arches with 5mm spacers. Thanks. Colour is GT silver - I should have mentioned that! I was thinking 15mm on the rear and 7mm on the front. I might try it at the weekend and see what they look like. I have them from old wheels on the 997 so no cost. Lucky it's a manual otherwise I'd be really instead of just a little bit. 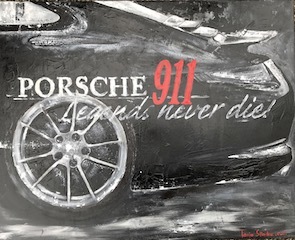 Looking forward to hearing more of your 997v991 thoughts. Very nice; silver / black is my favourite combination, and I really like those wheels. Interesting to see 991 prices creeping towards the top end of 997.2 prices. Also interesting that you feel the 991 is more "GT" compared to the 997.2 being more "sports car". Nice car Rob looks great in silver. It's interesting to see the price of 991s very close to gen2 997 money. Having had my 991 for a couple of months I wouldn't go back to a 997 now they are vastly better car imo. Lovely car, congrats on the purchase. The base Carrera is always a fabulous choice. Looks great in GT Silver, with those alloys and black interior. Lovely car, GT silver being one of my favourite colours. Agreed, lovely looking thing Rob, well done! Spent 3.5 hours cleaning it this morning! Took all the wheels off and cleaned the residue off from old wheel weights (looked awful and a total pain to remove) then applied some sealent to the inside of the wheels. I tried the 15mm spacers at the rear but I think they did look a little aggressive so went with some 7mm ones I had instead - these are fine. I might get some 5mm ones for the fronts although the inset is far less acute than the rears were. I will post some pics when I get to the PC. P.S. The black wheels aren't mine, that was another post. No worries - this is a car forum after all - it's supposed to be about "show and tell" right?? In the UK light the curves just bend the light spectacularly .....it’s not the same in other countries ! !